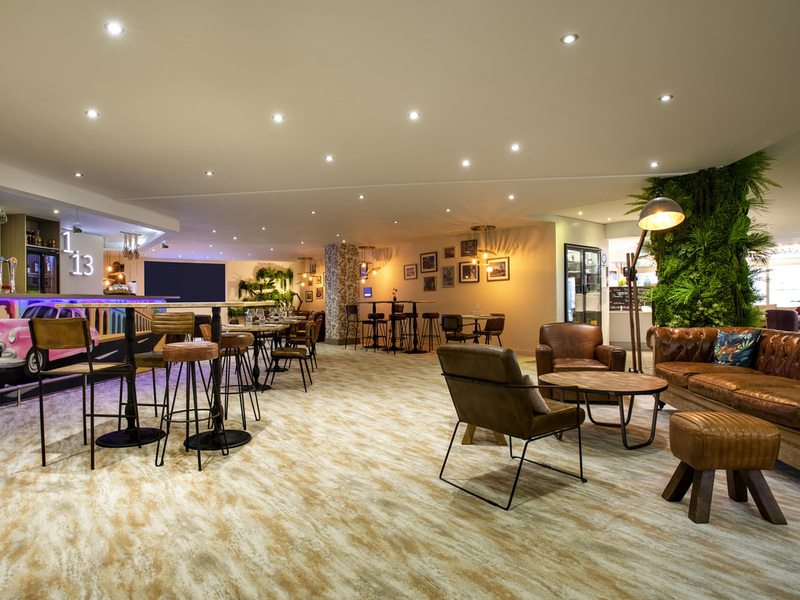 Close to the Old Port and MuCEM, the Mercure Marseille Centre Vieux Port hotel has been fully renovated, and is the ideal place for organizing your seminars. You will particularly appreciate its direct access to the Centre Bourse shopping center, the panoramic view of Notre Dame de la Garde and its proximity to Saint Charles station as well as the A7 and A55 highways. For business or leisure stays, our hotel has everything you could wish for. It was good. The room was large, but basic. Bathroom towels could be softer and it would be nice to have a face cloth as well. Very satisfied with my stay. Convenient close access into central Marseille with helpful staff. Rain shower head didn't seem to have enough pressure (certainly when running on floor 11). Might want to rethink the shower arrangement. Good location a few minutes walking from port, quiet. Very spacious room. Nice breakfast, lot of choice. Issues: two mattresses for a double bed... that's hard to forgive! We left the towels hanging to avoid washing them... but (as too often) they were instead replaced. Please train your staff properly, or don't waste cardboard announcing green efforts that are not respected! great Hotel in the City Center!nice room , clean and cosy .Professional and welcoming Service at reception. The breakfast was a Little bit expensive. Special offers will get more customers included me ! My wife and myself spent 4 nights at the hotel Mercure near Vieux Port. The location is central and the hotel is well maintained. We had a room on the 11th floor with a view on La Bonne Mère and the Vieux Port. The room was large with a fairly large double bed. Because we are &quot;senior&quot;, we had free breakfast consisting in a buffet with a large choice of prepared or fresh products, served in a large, clear dining room. Overall a nice experience. Quiet, nicely situated hotel. Great breakfast. Calm ambiance at the hotel, staff always available and helpful. Friendly, efficient staff. Spacious, clean room with a comfortable bed. Close to the old port and adjacent to a shopping mall. The hotel was not easy to find by car but once we did we found the facilities and services were very good. When arriving, the check-in went fast. Had asked for a room away from the elevator, which was accomodated. Breakfast was ( always) excleent and complete. I booked a Superior room with kings size bed direct with the hotel. The bed turned out to be two singles put together with a hard strip running over the top to hold them together. The room although described as superior was run down, with holes in the doors and bits falling off walls. As I arrived late in the evening and exhausted I reported this the following morning and I was given a free upgrade to a Premier room. This room was better. The bed wasn't two joined together but the decoration of the room was still run down and poor. The cleaning of the rooms was almost non existent. Breakfast was also poor with very little available especially for vegetarians. This is the second time that I stayed at the hotel as my first experience was fine. My last stay was in high season and I don't know if more care is taken during that time. I usually stay at the intercontinental and don't think I would stay at the Mercure again. Great location and surprising nice view from my room. Since this was a business trip, didn't spend much time in the room. But breakfast was great and the view from my room was surprisingly nice. Everything worked as expected and was confortable.